RevolveKC has a mission: get more people on bikes. More specifically, they are “dedicated to providing under-served communities within the Greater Kansas City Region with reliable bicycles for transportation and recreation.” Practically, that means taking in donated, pre-loved bicycles, refurbishing them to a safe and ridable condition, and offering them to customers through Earn-A-Bike programs or for sale at their shops on both sides of the state line. 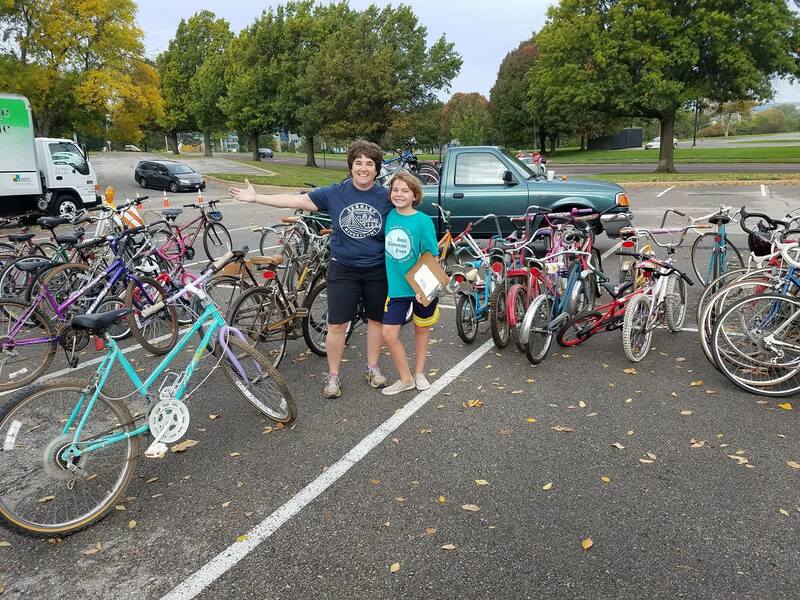 Over 1500 riders have earned bicycles from RevolveKC! Our work at BikeWalkKC frequently dovetails with RevolveKC’s. 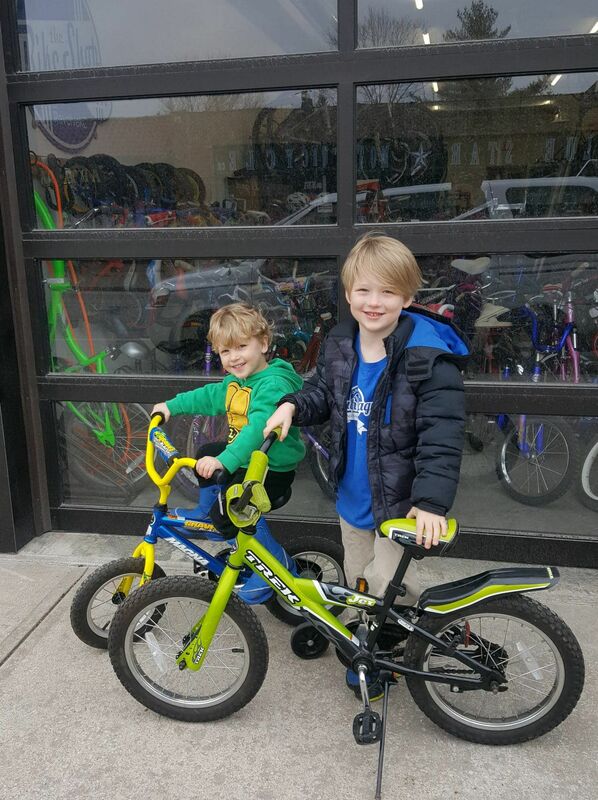 Currently, BikeWalkKC and RevolveKC are balancing their donated bikes to best suit clients’ needs: while we have piloted a Family Earn-A-Bike, most of our programs are youth-focused; and RevolveKC’s programming is more adult-commuter focused. So when either organization receives bike donations, we trade bikes according to the best fit for the people we work with most. RevolveKC and BikeWalkKC also partner on community-building events, such as our Women’s Bike Summit. Theresa Van Ackeren, Board President of RevolveKC, says “We enjoy attending the Non-Profit Village at the Women’s Summit. 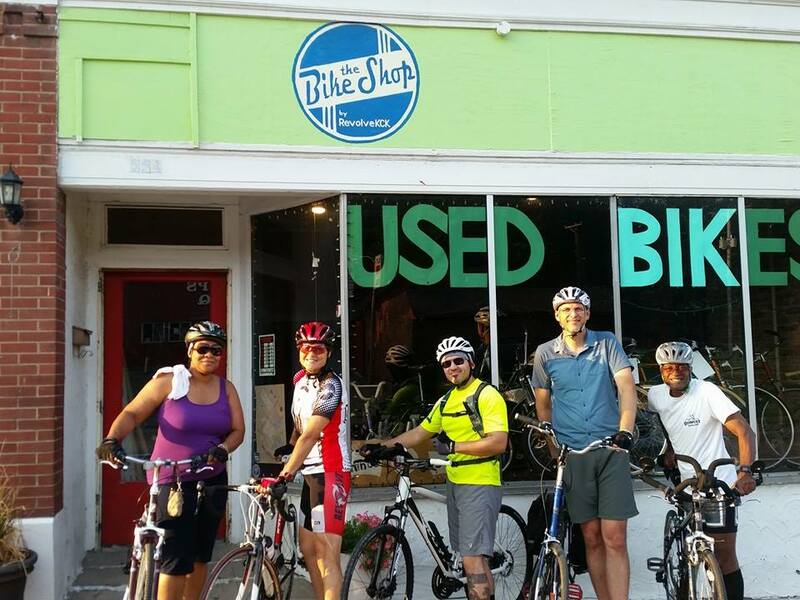 Our missions overlap.” The organization has supported the Women’s Bike Summit from the beginning, with resources and information for women who need a bike, or who want to be more involved in cycling advocacy. We are so grateful for partners like RevolveKC that serve our community with passion and excellence! Each person on a bicycle makes our city a little more vibrant for everyone. 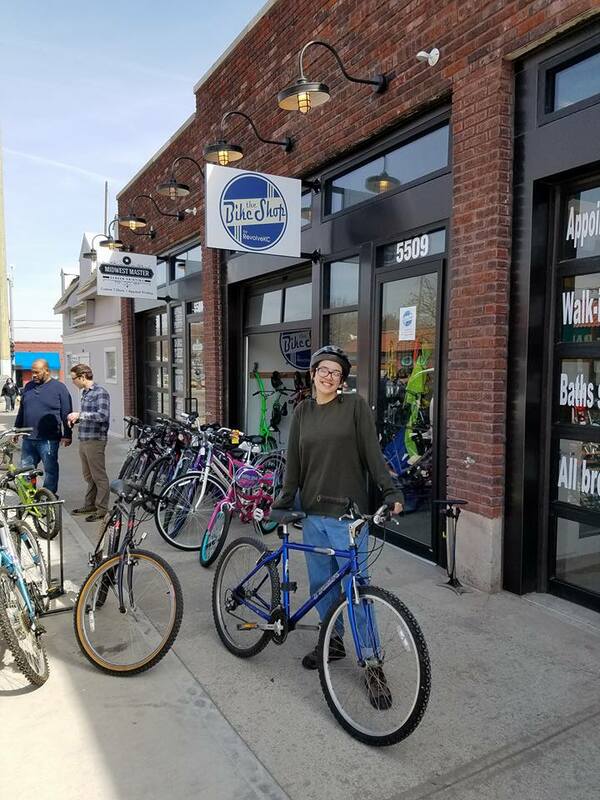 Learn more about Earn-A-Bike programs and donating bikes at RevolveKC or BikeWalkKC through our websites, and visit the RevolveKC bike shops for maintenance or sales in Kansas City, Kansas, or Kansas City, Missouri! Posted in Advocacy, Bicycling, KCMO Central-South, Wyandotte County and tagged bicycling, education, kck, kcmo.